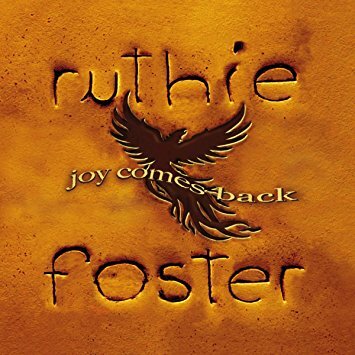 After eight albums recorded on Blue Corn Music, Ruthie Foster has released Joy Comes Back, a truly heartwarming collection of gospel, soulful rock, and blues songs. Joining Foster on this album are talented instrumentalists Derek Trucks of Tedeschi Trucks Band, Willie Weeks, Joe Vitale, and Warren Hood. The inspiration for this album draws from Foster’s deep emotional struggle of claiming custody of her five-year old daughter and transforming her family life for the better. Foster worked with Austin producer Daniel Barrett to record ten tracks of mostly reimagined cover songs. The album opens with two songs presenting Foster as a sensitive, yet strong and relatable woman—the smooth and easy “What Are You Listening To?” followed by the much harder rock song “Working Woman.” On the gospel title track, “Joy Comes Back,” Trucks complements Foster’s richly spirited vocals with masterful electric slide guitar. Other eclectic, yet surprisingly fitting songs covered on this album include “War Pigs” by Black Sabbath, “Loving You Is Sweeter Than Ever” written by Stevie Wonder and Ivy Jo Hunter, and “Richland Woman Blues” by Mississippi John Hurt. Joy Comes Back concludes with two emotionally powerful songs, “Abraham” and “Forgiven.” For Foster, music is therapeutic and gives her the strength to overcome challenges in her life, to embrace her family, and to celebrate happiness in both its hidden and exposed forms. 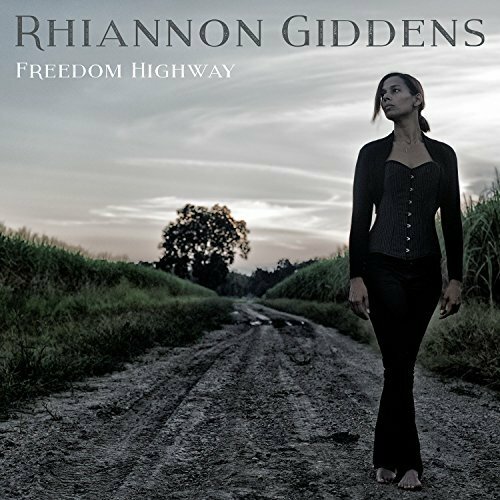 Rhiannon Giddens maintains a heightened level of excellence as a musician and activist songwriter throughout Freedom Highway, her second full album since Tomorrow Is My Turn (2015). Co-produced by Dirk Powell, Giddens presents nine original songs and three reimagined arrangements of civil-rights era and traditional music featuring guest performances by Bhi Bhiman, Lalenja Harrington and Leyla McCalla. From the darker themes of the electrically blue “Come Love Come,” to the funky precision of “The Love We Almost Had,” Giddens exhibits her eclectic and perfectionist talent down to the fine detail as a vocalist, banjo player, and bandleader. In “Better Get It Right the First Time,” she sings a soulful chorus of multi-harmonies as her band mate, Justin Harrington, performs a rap verse enhancing the traditional American roots music style. “Hey Bébé” differs significantly midway during the album, drawing on Cajun rhythmic and instrumental patterns. Rhiannon Giddens’ expertly produced Freedom Highway traverses the historical roots of racial unrest in the United States. Her work possesses an unwavering determination as she strives for accuracy connecting musical traditions with related contemporary genres to illustrate the deeply embedded patterns of racial oppression and resilience. Following up 2007’s The Phenomenal Ruthie Foster, Ruthie Foster once again showcases her roots-based blend of blues, soul, gospel, and folk rock. Similar to fellow blues-rocker Danielia Cotton, Texas-born Foster cut her musical teeth singing gospel in church, learning rock songs, and listening to country radio with her grandfather. Both reflect the fusion of their childhood experiences, though Foster swings to folk influences more than the rock and country that pervade Cotton’s music. While Foster’s own songwriting voice is powerful, several of her covers stand out as the stronger tracks, allowing Foster’s voice to really shine. Not coincidentally, these are the songs dealing with downward turns of fortune, whether material or spiritual, and Foster brings out the raw catharsis of blues in them. “Nickel and a Nail” sounds like it emerged from a dark, smokey blues club on a summer night, with Foster’s voice taking on a growly and world-weary tone reminiscent of Janis Joplin. “When It Don’t Come Easy” is simultaneously wistful, exhausted, hopeful, and comforting in its message of strength and love in hard times. In spite of these stronger tracks, the album as a whole is somewhat uneven. The light, reggae-styled “I Really Love You” feels out of place both in style and emotional intensity, even in the stylistically diverse selections on this album. “(You Keep Me) Hangin’ On,” “Love in the Middle,” and “Thanks for the Joy,” while more stylistically consistent with the rest of the album, are also more forgettable. Overall, one has to listen through The Truth According to Ruthie Foster quite a few times before any of the tracks start to stand out from each other. While this kind of slow burn isn’t always a bad thing, Foster’s voice is phenomenal and it’s a shame that the album as a whole doesn’t showcase it to its fullest. In 1993 Alan Lomax published his book The Land Where the Blues Began, to great popular and critical acclaim. The book told the story of his collecting adventures in the Mississippi Delta fifty years earlier, “discovering” and recording artists such as Son House, Muddy Waters, and David “Honeyboy” Edwards. In their co-edited book Lost Delta Found: Rediscovering the Fisk University-Library of Congress Coahoma County Study, 1941-1942, Robert Gordon and Bruce Nemerov detail the larger picture of the same collecting trips made by Lomax in the early 1940s by including the equally large contributions of Fisk University scholars (a collaboration which was almost completely obfuscated in The Land Where the Blues Began) and paying particular attention to the work of John Wesley Work, III. With the release of the CD John Work, III: Recording Black Culture, we now have the music to match the text of Lost Delta Found (through it’s not a companion piece), along with greater evidence of the variety of black musical culture in the early part of the twentieth century. Recording Black Culture separates its14 tracks into six categories: Social Songs (fiddle and banjo tunes), The Quartets, Work Song, Congregational Singing, Blues, and Colored Sacred Harp (shape note congregational singing). On display here are both secular and sacred musics, though the liner notes indicate Work was mostly interested in secular “folk” musics. The wide range of music that is offered was almost entirely recorded before Work and his Fisk colleagues joined forces with Lomax and the Library of Congress for the trip to the delta. 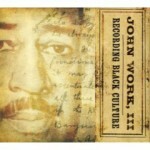 Work’s recordings were done in and around Nashville Tennessee, South Carolina, Alabama, and Mississippi. Many of the recordings have poor fidelity (even for historical recordings) and lend some insight as to why Fisk may have contacted the Library of Congress about a joint venture into the Delta: they wanted the more sophisticated equipment used by Lomax. 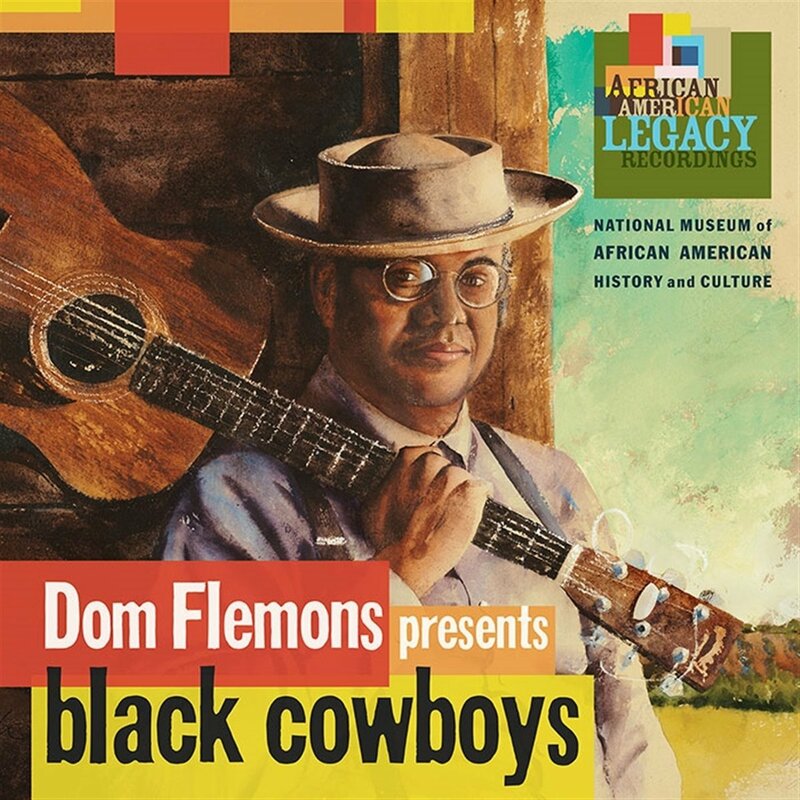 In this regard Work was right, the tracks that surfaced later in Lomax’s collections are much higher in fidelity (e.g., The Land Where the Blues Began Rounder CD) and Work’s recordings are surely more interesting to a scholar than to most casual listeners. Of the highest fidelity and given five tracks on the compilation are songs of The Quartets, including, with an egalitarian sprite, the Holloway High School Quartet, The Fairfield Four, The Heavenly Gate Quartet (a group of Work’s friends who sang together), and two unnamed groups. Here we have vocal harmony groups singing religious music in jubilee style with tight vocal parts and pulsating rhythms. The intimate sound of the quartets, specifically on the two tracks of the Heavenly Gate Quartet, provide great examples of vernacular presentations of popular stylings of the day, including “If I Had My Way.” Other tracks on the album, such as the congregational version of “Amazing Grace,” are harder to hear and are best left for academic scrutiny rather than pleasure listening. 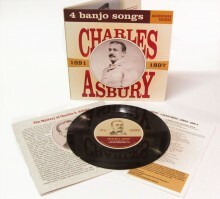 Many of these recordings are of particular interest because of their rarity; for example, the only known recording of blues street musician Joe Holmes singing “Ain’t Gonna Drink No Mo’,” as well as the ulta-rare recordings of fiddle and banjo players Ned Frazier and Frank Patterson that lead off the compilation. The CD is packaged with comprehensive liner notes written by Bruce Nemerov and aided by archival photos of the people, places, equipment, and songbooks used during this era. 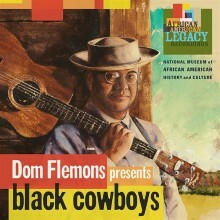 Though the recording quality lacks the fidelity of other field collections of the time, and the repertoire is perhaps too wide ranging for some tastes, the packaging and release of this material (a joint effort between local, state, and federal arts agencies) offers further proof of what many musicians have known for years, that rural black music is not, and was never solely the blues.